Excellent ideas are lasting In the year 1922 Richard KLINGER the founder of this company had an idea, the principle of which is still valid today. He designed the first piston valve. He replaced the sealing system of a conventional globe valve with a cylindrical piston and two elastic replaceable jointing rings. Constant research and further development yield a quality, which comes through brilliantly in extreme applications and is marked by the slightest of leak rates. 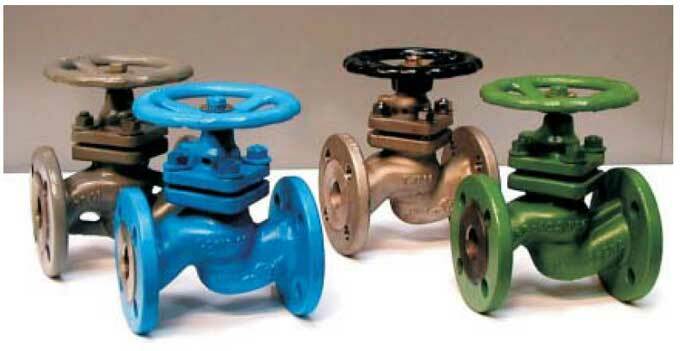 KLINGER piston valves are the best solution in hot water-, steam-, heat transfer medium- and dry gas application. KLINGER KVN piston valves have been tested by independent research institutes under the toughest conditions. They passed the Fire-safe test according to API 6FA as well as the Heliumleakage test with best results. These results impressively prove the exceptional efficiency of KLINGER piston valves. Today, piston valves are manufactured based on the state of the art technique and according to the highest quality requirements of ISO 9001. The sealing element is formed by two elastic valve rings enveloping a stainless steel piston. The upper valve ring seals to the outside, the lower ring seals across the port. Due to the large piston skirt the sealing effect is optimal. As the valve closes the piston removes impurities which the medium might contain from the inside of the lower valve ring. In this way the valve reliably seals off even contaminated media. In principle, damage to the sealing surface is precluded and tightness is guaranteed as a result. The standard version of the KLINGER piston valve is already very well suited for controlling the flow. Because the piston is guided by the upper and the lower valve ring vibration and instability in the pipe does not occure. KLINGER piston valves have proved to be excellent as by-pass control valves. Through simple replacement of the piston and the lantern bush the KVN can be retrofitted to act as a special precision control valve. A newly installed piston valve does not require any maintenance for a long time after. However, the spindle should be regularly lubricated. If nevertheless a valve ring wears out it can be replaced without problems while remaining in the line and, if assembly instructions are followed, it can be changed by inhouse personnel. After replacement the valve is like new.